The Mujahideen Shura Council (MSC) released a short video showing Derna after its “liberation” from the Islamic State. The “Shura Council of Revolutionaries in Derna (SCRD)” mentioned by Amaq is the Mujahideen Shura Council (MSC) in Derna and its allies. The MSC is an al Qaeda-linked alliance of jihadist groups that opposed the Islamic State’s expansion in the North African nation. The MSC pushed the Islamic State’s Libyan branch out of the heart of Derna last year, forcing Baghdadi’s loyalists to operate on the city’s eastern outskirts in Al Fatayih. Fajr Libya (Libya Dawn) is a coalition of Islamist militias. The Islamic State has repeatedly criticized Fajr Libya and the MSC (which Amaq refers to as the SCRD) for failing to pledge allegiance to Baghdadi and other reasons. In the aftermath of the Islamic State’s withdrawal from Al Fatayih, the MSC has released a statement warning residents of the presence of improvised explosive devices (IEDs) in and around their homes. 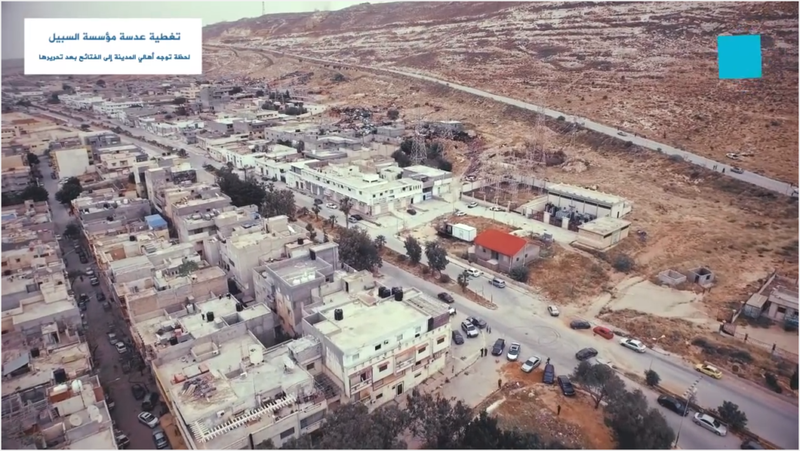 The MSC also posted a video online showing Derna and the surrounding area after its “liberation.” A screen shot from the video, which was likely recorded using a small commercial drone, can be seen above. As Amaq reports, however, the Islamic State’s fighters continue to battle their way south of Derna. It is likely that some of them will make their way to the group’s strongholds in Sirte or elsewhere. While Baghdadi’s organization failed to conquer Derna, it remains strong elsewhere in Libya.